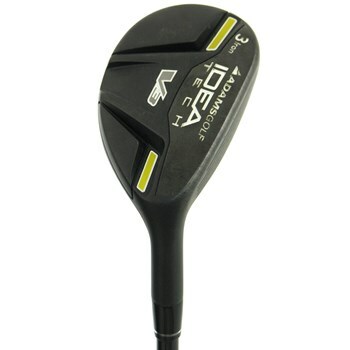 • Four-way cambered sole benefits players with steep and sweep-type swings. • Recessed sole reduces turf interaction by 30.5 percent. • V-Shaped sole recess added for more stability and reduced turf drag by an additional 8.5 percent. • Tungsten weighting at heel and toe locations lower the center of gravity and increases the MOI which improves off-center shots. • Ultra thin crown of 0.6mm allows for more weight to be distributed low and back for hotter launch conditions. • Ultra thin face design of 2.4mm increases ball speed for more distance and is 17 percent thinner than the next competitor.